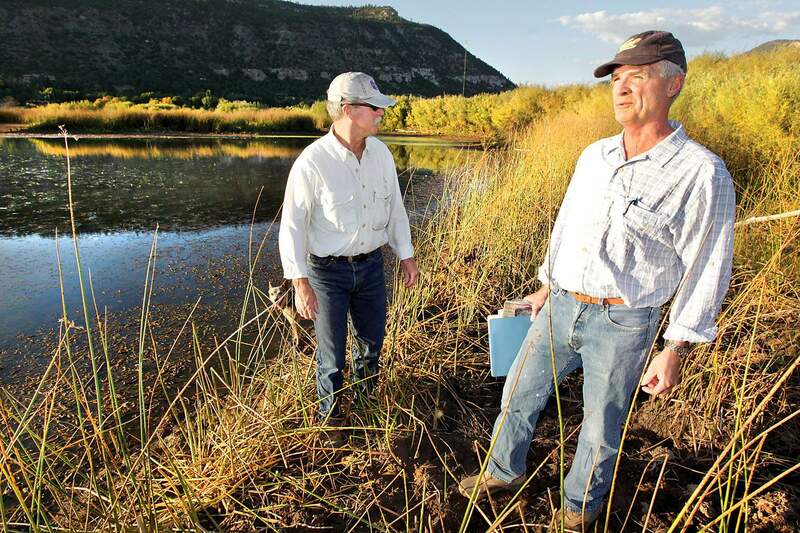 Tony Whittle, left, and Paul Sugnet walk the wetlands on their land in 2010 just north of Durango city limits. A 40-year-old state law recently settled a dispute over land-use jurisdiction, requiring La Plata County to pay the property owners $72,500. Two Animas Valley property owners received a $72,500 settlement payment from La Plata County this week, resolving a two-year-old complaint over land-use regulations. The county paid the amount, plus mediation costs estimated at $2,500, from the county’s contingency fund to Sugnet Family Ranch and Tony Ray Whittle Trust, which own the properties in question. The complaint stemmed from a recorded plat that subdivided a 107-acre lot in Ptarmigan Farms into three parcels. 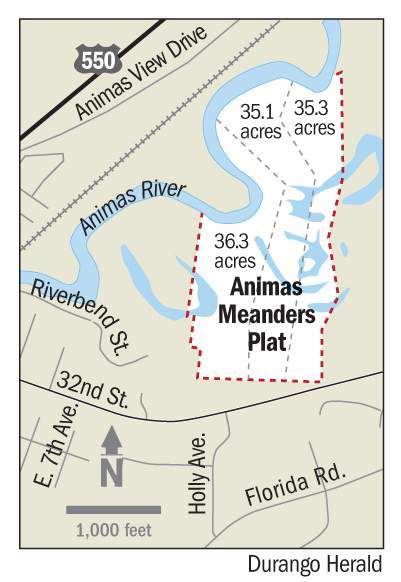 Whittle Trust owns two of the lots in the Animas Meanders plat; Sugnet Trust owns the other. County officials contended the land was divided illegally and was subject to county land-use regulations. But because each of the lots exceeds 35 acres, they are exempt from local purview under Senate Bill 35, which requires lots under 35 acres to acquire approval from the local governing board to be considered valid. Since the law’s enactment in 1972, it has been the subject of lawsuits between counties and property owners, including one in Montezuma County in 2001 in which a district court judge ruled in the lot owners’ favor. Supporters of the law maintain it helps preserve open space; opponents believe the granted immunity is costly and perpetuates rural sprawl. The lots in question are intended for single-family residential development.